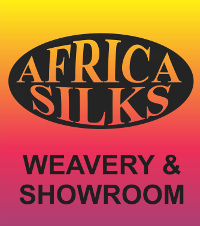 We,as Africa Silks strive every day to produce beautiful, unique and special products. 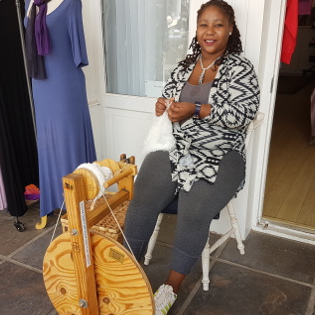 We aim at creating our products with passion and love.We not only want to produce beautiful products but we want each and every person's creative talent to shine out in the products they produce. All employees that produce products for Africa Silks has free reign to embrace their creative side and design what they see as beautiful.We feel that the beauty of hand-crafted products is lost when being governed by rules.Please have a look at the video to see how the production occurs at Africa Silks as it is unique to our business alone. 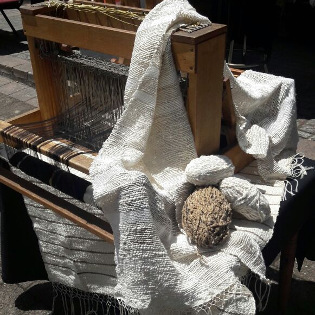 We specialise in the art of weaving and spinning in the old-fashioned style.All our woven products are produced from spun silk made from the cocoon into a final product.We carry pride in our products, not only because they are hand-made and unique but because we farm ethically and allow the worm to continue on its natural course of life before using the silk.